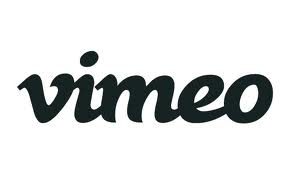 Our Vimeo video marketing services provide companies with video production, optimisation and promotion. Vimeo is a friendly place where people who take and love videos can share, watch, discover, and be inspired. For businesses there is ‘Vimeo PRO’ – great for companies who want a simple, high-quality platform to host their commercial content. The Vimeo platform is a vibrant community of intelligent and creative people. Video is a powerful way to demonstrate instruction or present emotional content. Vimeo videos often show up in Google search results, potentially allowing you to gain more website visitors by dominating your market’s natural search results. We are aware that there has always been a barrier for small businesses who want to use high quality video: Cost. This is exactly why eapb specialises in delivering quality, value for money Vimeo video based marketing, accessible for smaller businesses. We offer a free, no obligation consultation and business review to anyone wanting to know more about our Vimeo video marketing services. We’d be delighted to talk you through the entire process, covering everything in plain and simple English. Contact us today! We are a results-driven company.